The car park at the Port of Civitavecchia gets very crowded and only offers open air parking spaces. Furthermore, it is very difficult to book because it is only possible to do so by telephone. ParkVia offers the chance to book online alternative Civitavecchia port parking which is used by the major cruise companies. We offer car parks with both undercover and open air parking and possibility to park vehicles of varying sizes: motorbikes, camper vans and vans. Cruise passengers are entitled to transfers to the port which are included in the price and in the case of some cruise companies the car park completes the handover service directly at the Port. For further information on Civitavecchia port parking simply go to the car park operator's page by clicking on the logo. Civitavecchia port parking made easy with ParkVia! Routes from the port link Rome with Sardinia, Sicily, Spain, France, Malta and Tunisia. The port of Civitavecchia also has good connections to Fiumicino Airport. All the major cruise companies depart from this port or use it as a port of call. 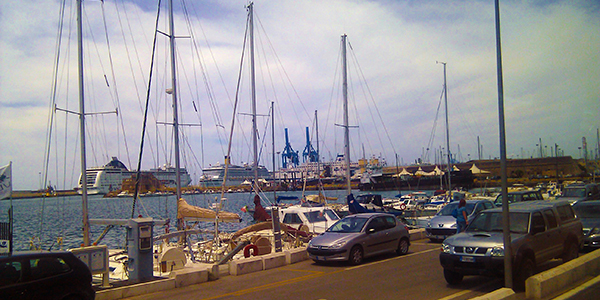 Civitavecchia port, also known as the port of Rome, is one of the largest ports in Italy in terms of passenger numbers. It is actually one of the biggest Cruise departure points in the whole of the Mediterranean.